Exile has been rightly considered the bitterest of fates for centuries. Forced separation from one’s birthplace, family, friends, and fellow countrymen, has always been considered a destiny only slightly less terrible than death. In classical Athens, in imperial Russia and Victorian England, exile to distant lands – to Sicily, Siberia, or Australia – used to be applied as punishment for exceptionally grave crimes. All too often it was applied to those considered guilty of political dissidence, sometimes as a substitute for death penalty. With the French Revolution we encounter a new type of exile: the political émigré. They had existed before, but in the 19th century – the era of national romanticism – their numbers started growing exponentially. After the fall of Napoleon, thousands upon thousands of opponents of backward-looking political regimes that ruled Europe’s heartland and its southern and eastern fringes went into exile to France and other countries with a more liberal political climate. The Serbs are used to leaving their ancestral lands under political pressure. In 1690 they migrated from their heartland in Kosovo under their Patriarch to avoid the wrath of their Ottoman conquerors. 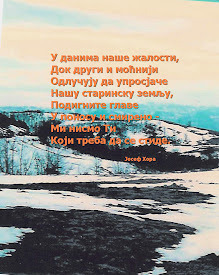 Their “Migrations” in the ensuing decades have been immortalized by Serbia’s foremost 20th century novelist Crnjanski. Several leaders of the First Serbian Uprising against the Turks in the early 19th century saved their lives by seeking refuge abroad, including their leader, Black George (“Karadjordje”) Petrović himself. Some years later, when he no longer enjoyed Prince Miloš’s favour, Vuk Stefanović Karadžić moved to Vienna were he spent most of his life under the benevolent patronage of the Hapsburg Imperial officialdom. Back in Belgrade, before Prince Alexander Karadjordjević came to power, the climate was getting distinctly unpleasant for political opponents of Miloš’s absolutism. Serbia’s most prominent “constitution-defender” Ilija Garašanin deemed it prudent to relocate to France, and while preparing his most famous tract – the Načertanije (“Outline”), which was the first serious attempt at drafting a Serb national program – he regularly exchanged opinions and experiences with Polish and Czech émigrés living in Paris. Unlike the exiles of old, most 19th century political émigrés decided to leave their native countries of their own free choice. They were often doing so in the hope that they will not only return to their native land, but also come as victorious power holders. Such hopes were sometimes fulfilled, notably in the case of King Peter I of Serbia. He was invited to return from Switzerland to Belgrade in 1903 after the last king of the Obrenović dynasty was killed by the Black Hand conspiracy. When the Bolshevik terror engulfed Russia in 1917, hundreds of thousands of real or potential enemies of communism had to save their lives by becoming émigrés. For people like Lenin and Stalin or Trotsky the enemy was not marked by his actions or ideas, but by his birth, class origins, education, and profession. An overwhelming majority of émigrés from Bolshevism were not motivated by political ambitions or preferences, but by the simple desire to preserve their lives. Even the numbers of exiled Russians of 1917-1921 were hugely exceeded at the end of the Second World War. Millions of Europeans were on the move throughout the Eastern half of the continent. Migrations of such magnitude as those taking place in 1944-1945 had not been seen since the end of the Roman Empire. They were caused by a host of sudden and fateful military-political developments at the close of the Second World War over which no ordinary person could exercise any control. The Poles from Lavov and Vilna were moving to Silesia and Pomerania, the Germans from East Prussia were moving to Saxony, from Sudetenland to Bavaria and their Volksdeutsche kinsmen from Vojvodina to Austria. The members of these and many other nations, often mutually hostile, where heading west, and for many the main motive was to be out of reach of the advancing Red Army and its ideological allies. The Serbs were a small part of that human deluge, but their destiny was particularly tragic. Unlike the Germans exiled from the lands east of the Oder and the Neisse, the Serbs did not belong to a nation that had attempted to achieve unlimited power and dominance over other nations. Unlike many Croats, Romanians, Slovaks, Hungarians, Ukrainians, Lithuanians, and others, they had not placed themselves in the service of the defeated party. For most Serbs the only “crime” was that they had remained true to themselves, to their own name and faith, and to the legacy of their ancestors. During the four war years of 1941 to 1945, not for the first time in their history, the Serbs of northern Dalmatia, Lika and western Bosnia were struggling and suffering – not because of what they’ve done but because of who they are. Their faithfulness to their name, tradition, and identity was the cross they had to bear in the aftermath of Yugoslavia’s speedy collapse in April 1941. By virtue of being surrounded by potentially (and sometimes actively) hostile groups, the Serbs west of the Drina have a highly developed sense of identity and rootedness in their history. The area surrounding the northern Dalmatian city of Knin in particular was a vibrant outpost of the Serbian culture and tradition. The region’s strong devotion to the Orthodox Church and to the epic tradition – symbolized by the battle of Kosovo with its symbolism of Christian martyrdom and heroism – was transmitted through the generations. The Krajina Serbs’ attachment to their ancestral faith and tradition reflected a pre-modern identity rooted in culture and cult. It was very different from the more contemporary, aggressive nationalism of their immediate neighbours whose hatred of “the Serb” rested on an invented history and an imagined community. By their very existence these sturdy Western Serbs were an obstacle and the threat to black and read totalitarians alike, to Croatian ultra-nationalists led by Ante Pavelić and to the Communists Party led by Josip Broz Tito. Those two groups, both marginal and few in numbers before the war, were theoretically at odds with each other, but they shared one sentiment in that spring of 1941: they both greeted Yugoslavia’s occupation by the Axis powers as a time of opportunity. To the former it meant a chance to come to power immediately, as German and Italian quislings; to the latter it promised a time of trouble that could be exploited for a power grab later on. The “Independent State of Croatia,” proclaimed on April 10, 1941, speedily established its credentials as a worthy satellite of Nazism by finding its primary purpose of existence in the savage elimination of undesirable ethnic and religious groups such as Serbs and Jews. Within months of Yugoslavia collapse, hundreds of thousands of Serbs, largely peaceful peasants, were killed in a wave of genocide terror carried out by the newly triumphant Ustasha movement, who had waited for his opportunity under Mussolini’s protection in Italy. As soon as they came to power, thanks to the inevitable Axis triumph in the brief April war the Ustashi started preparing the ground for genocide. By the end of May the mechanism and the power structure were in place. Simultaneously a vicious propaganda campaign was launched by the leading lights of the new Croatian regime. Pavelić’s close aides, such as the minister of education Mile Budak, went around the new state making bloodthirsty speeches that left no doubt as to their final intentions. They presented the Serbs as an alien demonic element that had to be literally removed if the Croatian body-politic were to be “cleansed” and made healthy and prosperous. The standard pattern of verbal dehumanization was the prelude to physical liquidation. The wave of bloody terror that swept the area in June of 1941 was particularly devastating in the area where Bosnia meets Dalmatia and Lika, the Three-Boundary region known as Tromedja. This has been a strategically important region for centuries, connecting as it does continental Croatia with the Dalmatian coast. The predominantly Serbian inhabitants of these lands – a compact majority in an area the size of Yorkshire – were shocked and depressed by the swift collapse of the Kingdom of Yugoslavia. At first they accepted the proclamation of the “Independent State of Croatia” with a degree of resigned fatalism. It is a matter of historical record that their behaviour had given no grounds for any reprisals by the Croatian quisling authorities. Initial passivity could not save the Serbs, however: for the new Croatian powers-that-be there was no rational link between a Serb’s personal views and behaviour and the attitude of the authorities to that person. From the standpoint of the Ustasha ideology, the very existence of any form of Serb national consciousness within Croatia was illegitimate and a priori unacceptable. The terror unleashed by the Croat regime – described by the German High Command representative in Zagreb, General Edmund Glaise von Horstenau, as “worse than Bolshevism at the height of Lenin’s revolution” – had the purpose of physically liquidating as many Serbs as possible. Especially vulnerable were the educated leaders of the community, such as priests, teachers, civil servants, and merchants. In addition to its primary function of physical elimination of the victims, the terror had the purpose of scaring the survivors into escaping to Serbia and demoralizing the remnant into accepting conversion to Roman Catholicism. In an area where religion and ethnicity had been practically synonymous for centuries, such conversion was tantamount to accepting a new, Croatian national identity. After the shock caused by the first wave of Ustasha slaughters in June 1941, the Serbs all over the Tromedja area started organizing spontaneous resistance. They were fully aware that the alternative to armed struggle was physical extinction. They could rely on a long tradition of valour and bravery of their forefathers, and the result was the uprising on July 27th 1941 that started in the area of Drvar. That uprising did not have any ideological character or definable political colouring; it was an act of self-defence by a people threatened with total destruction. 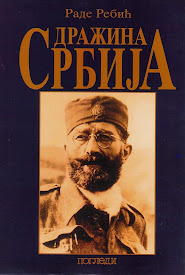 The fact that it was staged under the Serbian national insignia, and under the Chetnik name, reflected the insurgents’ traditional roots – well before the call to arms by Europe’s first guerrilla fighter, Col. Dragoljub-Draža Mihailović, had become fully known. By the end of that tragic first summer of Yugoslavia’s occupation the insurgents controlled considerable areas in western Bosnia northern Dalmatia, and along the old military frontier further north. By the autumn of 1941 their ranks included many large and well armed, but mutually unconnected units and commands. Their leaders therefore decided to pull their resources together and to establish a single, unified control and command structure that would be mobile and capable of concentrating manpower and firepower where it was needed most. They chose as its commander a well-known priest and popular local community leader by the name of Momčilo Djujić. 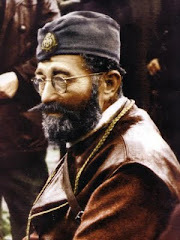 Because of his support for the underprivileged railway workers in the 1930s he was suspected by the authorities of Communist sympathies, but Djujić’s primary commitment was to his people and to the Church. That man was destined to lead the Tromedja Serbs through four turbulent years of struggle and suffering. 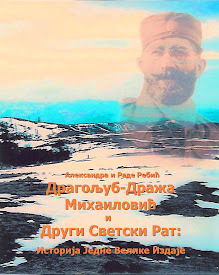 From the end of 1941 the saga of the Western Serbs became inseparably linked with the Chetnik tradition, with the Dinara Chetnik Division, and with the name of its commander. The Communist Party of Yugoslavia cynically exploited the tragic circumstances under which the Serbian nation found itself. It also realized that the war provided the only opportunity that the CPY would ever have to grab power. To that end in late-1941 the Communists opened a new front, within the insurgent ranks, by proclaiming the beginning of the revolutionary struggle. They stabbed their nationalist partners in the back, literally and figuratively. It could be said that Tito’s followers were only following the example of their Bolshevik mentors, who used the First World War as a means of grabbing power in Russia. In many parts of the former Yugoslavia the insurgents, often lacking in political acumen, were not prepared to react in the decisive manner to the Communist volte-face. They were particularly reluctant to battle “our fellow Serbs,” as they still perceived their Communist rivals, at the time when every Serbian life was precious and threatened. Furthermore, in many parts of the Croatian quisling state the traditional Serbian local establishment – priests, businessmen, teachers, and professionals – were targeted for slaughter in the early weeks of terrorist onslaught. This meant that the rank-and-file of the peasantry was left without its traditional leaders. This suited the ideologues of the Communist Party who wanted to impose themselves on the people and use it as cannon fodder for their aims. In some regions, notably Montenegro, party propagandists were also able to exploit lingering hope that Mother Russia would come to their rescue. In the Tromedja region of northern Dalmatia and western Bosnia, however, thanks to Djujić’s political talent and acumen, the Communists were not able to exploit the tragedy of the Serbian people for their own revolutionary objectives. 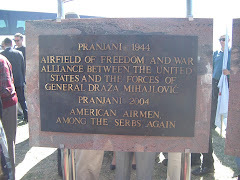 In order to save Serb lives they occasionally made tactical arrangements with local Axis military commanders without ever compromising their essential commitment to liberty and to the Allied cause, symbolized in their evacuation of downed Allied airmen. Instead of owing their allegiance to an ideology they were spontaneously patriotic, wanting to serve their nation, their King, and their Church. By mid-1944 they controlled a considerable liberated territory with a functioning administrative and political structure. 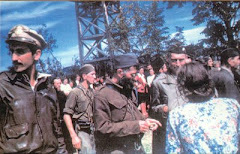 After three years of heavy fighting with two principal enemies of different colours but similar objectives – Croatian ultra-nationalists and Communist partisans – Djujić’s soldiers and people were neither militarily defeated nor spiritually demoralized. Hundreds of miles away from their native land, however, their destiny was being decided. Like in a Greek drama, the future was being shaped unknown to them, and beyond their power to influence the outcome. In the course of July and August of 1944 the Red Army conducted victorious operations in Romania. In early September its units entered Bulgaria, and in late September they reached the Yugoslav-Romanian border on the Danube, near Turnu-Severin. They duly marched west, across eastern Serbia into the Morava valley. On October 20th the Red Army entered Belgrade and handed the Yugoslav capital over to Tito’s partisans. The entry of Soviet troops into the territory of Yugoslavia had a decisive effect on the outcome of the civil war, by propelling Tito into the winning position. While there is no doubt that he would have been a serious contender for post-war power in any event, it was the impact of the Red Army that turned him into a winner. By the end of 1944 the Tromedja region was threatened by a steady advance of Tito’s well armed and lavishly supplied forces. Their left flank was pushing north, along the Adriatic coast, while its right flank was sweeping through western Bosnia. This steady pincer movement exposed Djujić’s men to mortal peril. The Chetniks could not contemplate a pitched battle in their native region as they were short of supplies, especially ammunition. Evacuation of its still intact fighting force, including those civilians who were most at risk, emerged as the only alternative to a futile and doomed last stand. The first task of the embattled Chetnik command was to break out of the looming encirclement. After a fierce battle on December 3rd and 4th 1944 near the village of Padjeni the Dinara division broke through and started its long withdrawal to the north. It could move only slowly, burdened as it was by several thousand civilians, mainly family members of Chetnik fighters who feared Communist retribution. The retreat took Djujić’s column through Lika to the Littoral, and across the Gorski Kotar region, north-east from Fiume, to south-western Slovenia. The division reached its winter quarters in Slovenia as a compact and battle ready unit, exhausted but well armed and far from demoralized. In the first few months of 1945 the division rested and recuperated in the Vipava valley in and around Postojna, not far from Trieste. That period saw repeated and ultimately unsuccessful attempts to forge a common front among various anti-communist forces belonging to different commands and diverse ideological backgrounds. When the end of the war was an imminent certainty Serbian national forces were destined to suffer fresh blows. The news of the annihilation of the Montenegrin Chetnik column, ambushed by the Ustasha forces at Lijevca Polje in northern Bosnia, was aggravated by the loss of hope that Gen. Mihailović may join them after all and provide the backbone to anticommunist resistance in the westernmost part of the Yugoslav territory. On April 30 1945, after the final clash with the communist forces just outside Gorizia, Djujić’s division crossed the Isonzo River into Italy and established contact with the British Eighth Army. Dramatic events in distant battlefields and key fronts – Russia and Normandy – determined the outcome of the war in the former Yugoslavia and sealed the fate of millions of its people. The following week the Dinara Division was made to surrender its weapons in the improvised camp at Palmanova. The disarmament took place on the very day that Djujić’s men celebrated as their patron saint: May 6th, St. George’s Day. As the veterans of many battles surrendered their mortars, hand grenades, machine guns, rifles and pistols, sometimes with clenched fists and often with tears in their eyes, the wartime exploits of the Dinara Division were over. The long, arduous life of enforced exile was about to begin. The British treated all Serbs, regardless of uniform and command, as “surrendered enemy personnel.” That designation, besides being factually wrong, was to prove fatal to some seven thousand Serbs – Chetniks and Volunteers alike – who reached southern Austria in early May, and for thousands of Slovenian home guards. All of them were surrendered by the British to Tito’s communist forces, and summarily executed without a trial or any attempt to establish individual guilt. The fact that they were self-avowed enemies of the Yugoslav Communist Party and of the Partisan “National Liberation Army” was sufficient to doom them all. As Count Nicholas Tolstoy has shown, this little known tragedy is a permanent blemish on the record of the British political and military establishment that remains unacknowledged and unatoned to this day. The Serbs in Italy did not know of the tragic destiny of their compatriots in Carinthia at first, which was fortunate. Had they known the truth, the surrender of weapons would not have proceeded as smoothly as it did. Unpleasant incidents would have been unavoidable, and the relations with the British authorities – tense at best anyway – could have escalated beyond the point of no return. In the event the act of surrender and the living conditions of this group – while far from normal – were relatively tolerable. Diverse military units, including Djujić’s men, stayed together, while the civilians had their own section of the camp. As was to be expected in the aftermath of a long and tragic war that ended so unfavourably for the Serbs, there had been some tensions among senior officers, the leaders of different military formations or political organizations at Eboli. Nevertheless, a large majority of their rank-and-file personnel maintained cordial and brotherly relations regardless of their regional background or political convictions. Most of them realized that they were destined to share the same fate – and they were all too aware that they all shared the same enemy in Tito’s Communists. British guards around the camp were very strict at first and carefully controlled the identity of all persons coming in and out the gate. With the passage of time this control was becoming increasingly lax, however, to the point where it was possible to leave the camp and return into it more or less unhindered. Some of the inmates used this opportunity to make day trips to the beaches along the Tirenian Sea, to Naples, and to travel as far as Rome. The relations with the Italians living in the area were always correct, sometimes very friendly, but occasionally dependent on the political convictions of those local people. The Communist Party of Italy was relatively strong at that time, and its members and sympathizers were not too well disposed to the Serbs at Eboli, whom they naturally regarded as enemies of the communist idea they supported. Those Italians were fortunate never to experience at first hand the kind of life to which millions of East Europeans were condemned after Yalta. Stage performances, choirs, and folklore groups soon came into being at the camp. All kinds of vocational courses were improvised, and regular lectures on a host of subjects, from science and technology to world politics, made the cultural life of the Serbs in the camp both varied and dynamic. Spontaneously dozens of publications came into being, cyclostyled or typed. Among several newsletters and bulletins, the most widely read was the Serbian Gazette. Before long a fully-fledged secondary school was established, and courses in basic literacy were offered to those young men who had missed primary education. The priests provided the foundation for a rich spiritual life and with the financial assistance from the YMCA they were able even to start a theological seminary; the laymen had a “spiritual academy” of their own. The sick and recovering wounded were taken care at a hospital that had well-trained doctors, nurses – and for the first time plentiful supplies. At that time the division of the European continent by the Iron Curtain had not been accepted as a permanent and more or less immutable fact of life. In 1946 among the Serbs at Eboli the hope was still strong that an unexpected but favourable shift in global events may open up the possibility of their return to the fatherland. Many dreamt of reversing the outcome of the Civil War. After all the suffering, after the loss of thousands of friends and neighbours, after so much spilt blood and countless sacrifices, they found it hard to believe that the Communist triumph was final and irreversible. 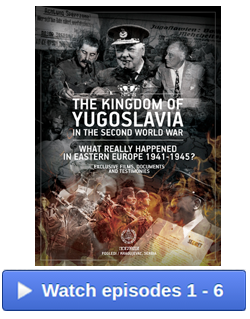 Inside Yugoslavia Tito’s authorities were also not reconciled to the given state of affairs. They did not except the fact that 14,000 of their sworn enemies were out of their reach – and safe. They wanted to deal with them the way they dealt with all other opponents of the regime, by execution or imprisonment. The precedent was established in the first few months after the so-called “liberation” of 1944-1945, when tens of thousands of Serbs deemed politically unreliable were summarily executed as collaborationists, war profiteers, traitors, quislings, or whatever other handy label was picked up from the arsenal of communist liquidators. Tito’s men were extremely eager to extend the same treatment to the Chetniks and others who had withdrawn to Italy in May 1945. The Communists were encouraged in their hopes by the precedent of the British 5th Corps in the vicinity of the Austrian city of Klagenfurt, which surrendered all of the Serbs under its control without ado. The authorities in Belgrade were hoping that the mix of propaganda, political pressures and crude forgeries would coerce Western allies to repeat this shameful exercise in Italy. Most exiled Serbs were not aware of the threat at first, but already in late 1945 the Communist regime in Belgrade started a wide-ranging campaign to have all of the so-called traitors and collaborators extradited to Yugoslavia. The first list, with 14 names of alleged war criminals, was handed to the British government in October. At the same time Tito’s authorities approached the Foreign Office in London with the demand that a mission from Yugoslavia be given free access to the camp. It was suggested that, with the support of the British military authorities, the mission’s members should propagate the exiles’ return to Yugoslavia. The British agreed, but the attempt of the first and only such mission – led by the notorious pre-war Communist from Sarajevo, Josef Engel – to enter the gates at Eboli and “convert” the Serbs ended very quickly, and for Tito’s agents fatally. Within minutes their bloodied corpses lay in the dust. The debacle prompted the Communist government of Yugoslavia to insist on extraditions with renewed vehemence. It scored a major success with the delivery of General Kosta Mušicki in January of 1946. The handing over of this well-respected officer was a veritable shock, not only for the members of the Serbian Volunteer Corps, of which he had been the commander-in-chief, but for all inmates. It was a gloomy reminder that above all of them the sword of Damocles was hanging. In its demands for the extradition of exiled Serbs the government in Belgrade enjoyed some support at the Foreign Office in London. The higher echelons of the British diplomacy repeatedly complained to the military command in the Mediterranean that the Army was not sufficiently vigorous in carrying out instructions from London to arrest all named persons accused of war crimes. It was fortunate for the Serbs exiled in Italy and elsewhere that among the Western allies there had been no unanimity on this thorny issue. Unlike the British, American military and political authorities refused in principle to extradite exiled Serbs to Tito from the territories under their control. In Washington the position of President Truman himself and other political circles was marked by a healthy disdain for Communism in general, the Yugoslav variety included. It was not burdened, vis-à-vis Belgrade, with the pro-partisan mythmaking of Tito’s British friends such as Fitzroy MacLean and William Deakin. In 1946-1947 some of these old “partisan hands” were still able to influence the official British policy in the way conducive to communist interests, just as they had been able to do so in the crucial days of 1943. By contrast the American political and military establishment was largely free from such deviant traits, and untouched by the bane of communist deep penetration that turned some key British institutions into de facto Comintern outlets. An important segment of Tito’s support in London came up from outright Stalinists, Communist agents such as the Special Operations Executive (SOE) station chief in Cairo, James Klugman, who systematically doctored the reports from British military missions in the Balkans to make it look like the partisans were doing all of the fighting – and the Chetniks were collaborating. Latent differences between London and Washington over joint response to Yugoslav demands for extraditions first came into open in February 1946. The U.S. State Department received a questionnaire from London, asking for the official American position on both the principle of extradition and the access to Eboli for the emissaries of the government in Belgrade. Marshall’s note to American diplomats coincided with the release of a new list in Belgrade that contained 59 names of immediately wanted “war criminals and quislings.” It caused fresh anxiety among the inmates at Eboli. By the second half of 1946 Tito’s representatives in the Western world started a new propaganda campaign and sent increasingly strident notes to the governments of the United States and the United Kingdom demanding extraditions. Reacting to such demands, in January 1947 the U.S. Secretary of State George Marshall sent a circular to American diplomats in Berlin, Vienna, Rome, and Belgrade. The circular warned the chiefs of missions that the United States remained opposed in principle to the extradition to Yugoslavia of all individuals for whom there existed the grounds for trial before an American court. Even more significantly, Marshall rejected extradition of any persons for which it was suspected that the demand was based on political grounds. According to Marshall’s instructions, extradition could be considered only if the demand was accompanied by clear and well-documented evidence, with precise allegations and a detailed legal brief concerning the laws that the accused had supposedly violated, and the proof of their supposedly incriminating actions. Marshall once again reiterated that unless such evidence was presented by Belgrade, no extradition should be even contemplated. The peace treaty between the Allies and Italy was signed in Paris on February 10, 1947. One of the issues it dealt with concerned displaced persons (DPs) in Italian territory, both those in the camps and at large. The solution was less than completely straightforward. As the U.S. charge d’affaires in Belgrade subsequently informed the Yugoslav authorities, the governments of the United States and Great Britain had given to the Italian government the Yugoslav list of persons accused of collaboration with the enemy who were known to be in Italy. They also attached to that list the names of persons with whose extradition the two Western powers were in agreement. At the same time, however, the Italian authorities were explicitly warned not to hand over to Tito anyone whose guilt had not been established beyond any reasonable doubt. In view of the deteriorating situation around Trieste – which was soon to verge on the state of war – the government in Rome was not likely to be tempted into such action anyway. 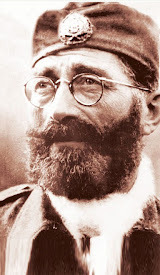 Quite the contrary, in its benevolent treatment of a prominent Chetnik leader, Dobroslav Jevdjević, the Italian authorities clearly indicated that they were not going to be intimidated by Tito. When it came to DPs still residing in camps the responsibility for extraditions could not even formerly remain under Italian jurisdiction, since the U.S. and Great Britain had decided that the camps in Italy would be closed and all displaced persons from them transferred to Germany. As Eboli was under British command, the personnel from that camp were to be transferred to the British zone of occupation in northern Germany. In the spring of 1947 the plan was carried out. From 19th of April until 10th of May some 12,000 Serbs were moved a thousand miles north. The most numerous contingent by far were Momcilo Djujić’s veterans and the civilians who retreated with them. Most of them were accommodated at a former POW camp near Munster converted into the newly created Centre for Documentation and Discharge of Displaced Persons. Some two thousand civilians were sent to several smaller camps in the vicinity of Munster, a medium-sized market town some 50 miles east of the city of Bremen. The main camp was situated on a fairly narrow plateau surrounded by a dark pine forest. The entire complex was encircled by barbed wire ten feet high. Yet again, the Serbs were brought to the new location under the old label of surrendered enemy personnel. That designation was altogether inaccurate, of course, and negatively impacted their treatment. The British intended to subject them all to one final round of questioning that would determine their status. Those falling into the white category would be passed on to the inter-governmental committee for refugees as displaced persons. Those classified into the black category would be subjected to involuntary repatriation to Yugoslavia. And finally, the grey category covered persons whose final status could not be determined at that time, but who nevertheless were not liable to extradition until such determination had been made. While investigation process was under way, the daily living in conditions in Germany were far worse than those in Italy. The difference between the relatively mild regime in Eboli and the strict discipline in Munster became apparent already at the gate. Tall barbed wire and searchlights dispelled any illusion that the new camp was meant to be either pleasant or even merely tolerable. In every respect it was set up and organized as a prison, not as a refugee transit facility. The place had some tradition: already in World War I in this same area a POW camp was set up for Australians captured in the Western Front. Almost six decades later the Dinara veterans remember the site and its surroundings as gloomy and depressing in the extreme. Unlike the mild Mediterranean climate of southern Italy that greeted the Serbs in the area of Naples, the climate reminiscent of their native region in northern Dalmatia, the grey sky of northern Germany offered neither comfort nor hope. The ever-present rain or wind-driven drizzle depressed these young men reared in the vicinity of the Adriatic, and enhanced their sense of nostalgia and longing for their native land. Immediately upon their arrival the Chetniks were subjected to brutal body search. The British took away many personal processions of no apparent significance. In addition to humiliation and injustice, the transferees felt they had good reason to fear for their very lives. The omens were not good. The officers were promptly separated from other ranks, which in itself arose suspicions regarding the intentions of the British. The overall climate of foreboding descended upon the Serbian camp. It was no relief to see the searchlights illuminate the grounds whole night long. A young man from Lika who merely approached the outer parameter of the fence, without displaying any intention to try to escape, was shot without prior warning. Many Serbs started suspecting that the British were preparing an extradition on a grand scale. The precedent of Slovenia in May 1945 was all too vividly present in everyone’s mind. In the ensuing two years, of 950 persons whose extradition was demanded by the government of Yugoslavia by name, about 50 had been handed over to Belgrade (and certain death). The intention in principle to extradite a further two hundred wanted Serbs was regarded by the government in London as more or less beyond dispute. Furthermore, with the transfer to Germany the legal status of Serbian veterans was effectively worsened: in Italy they were under the dual jurisdiction of the British and the Americans, while in Germany they were under the exclusive British jurisdiction. The uncertainty prompted some Serbs to try to escape, and one night about a dozen were successful in their intent. The following morning a young man spotted a hole in the barbed wire and approached it to have a closer look without displaying any intention to try and cross the line. He was nevertheless shot on the spot by a guard on the nearby tower, again without any prior warning. Uncertainty and apprehension were heightened by fresh pressures from Belgrade on London to extradite Tito’s enemies to the Communist regime. The Yugoslav authorities monitored very closely the situation in Italy. Only three days after the beginning of the transfer from Eboli to Germany, the regime characterized the undertaking as “an attempt by the West to save traitors and murderers with bloody hands.” Even before the beginning of the transfer the Yugoslav government placed great hope in the work of the so-called McLean commission that was charged with classifying the Serbs into three categories. Maj. Gen. Fitzroy McLean, an open admirer of the Yugoslav dictator, headed the commission. McLean befriended Tito when he headed the British military mission to the partisan headquarters in 1943-44. From McLean’s correspondence with the Foreign Office in London it is obvious that he regarded all Serbs in British camps as Quislings, and that he was on the whole sympathetic to the Yugoslav demand for their extradition. McLean was also well aware that no voluntary extradition was possible on any significant scale, but he nevertheless made the attempt to encourage the Serbs his commission was interviewing to go back. He was also the leading advocate within the British establishment of the wholesale extradition of most individuals whose handover was demanded by Belgrade. McLean’s position was wholeheartedly supported by the British ambassador in Belgrade, Charles Peak, who wrote to the Foreign Office on April 10, 1947, that those people would be “in no danger” if they were to be returned to Yugoslavia. This was not only contrary to past experience and logic; it was also contrary to the bloodthirsty statements often made by various Yugoslav Communist officials themselves. Even in London they were noted as having stated that many heads will be chopped off once the extradition is carried out and that for those whose lives will be spared many years of hard labour is the best they can hope for. Because of its highly biased approach and because of its obvious sympathies for the Yugoslav regime, McLean’s commission encountered stiff resistance and mistrust among the Serbs it proceeded to interview. The questions put to Chetniks and other personnel were supposed to focus on the facts of their identity and other essential personal data. Contrary to those guidelines, the commission proceeded to examine most of them in some detail about their motives for joining Chetniks rather than partisans. They were asked about their views of the British, and specifically if they regarded them as friends and allies. They were also asked about their personal role in the war, including the question if they had killed any partisans in combat. The respondents had the impression that the objective of the commission was to create a file for each of them containing detailed information about their personal and political views and about their wartime records. They suspected that any “wrong” answer could be used against the respondent when the colour-coded classification was finally made. Such suspicions turned into open terror on the morning of July 22, 1947, when a cordon of heavily armed British military policemen suddenly surrounded the entire camp at Munster, and all men were ordered to assemble for a roll call. Simultaneously with this action, a number of civilians were arrested in a brutal manner by the British in nearby two camps for non-combat Serb refugees. A few were even taken out, at gunpoint, from their hospital beds in the military medical centre at Guttersloh. The Serb commander of the main camp sent a protest to the British command, stating that “such behaviour finally destroys the remnant of the trust that the Serbs have had in the British gentlemanly behaviour, correctness, and the love of justice.” The action resulted in the arrest of 150 persons classified as “black” on McLean’s list and therefore liable to involuntary extradition to the Yugoslav authorities. They were now incarcerated in a separate building of the Munster camp, the Y Barrack. In late summer in 1947 General McLean visited Belgrade twice. He prepared the ground for the signing of the British-Yugoslav agreement on September 8 that provided the Yugoslav authorities with an opportunity to have a mission of their own present during the examination of displaced personnel in the British camps in Germany. Furthermore, the Communist government was given the right to conduct propaganda for the return to the country. At the same time the exiles were not allowed to advocate the opposite view, i.e. to urge their fellows to remain outside the reach of Communist executioners. The representatives of the Communist government sometimes acted with considerable duplicity, promising all kinds of favours to those who decided to go back. They gave exuberant promises that no punitive measures would be taken against anyone except those who had already been listed as wanted criminals and traitors, and whose names had been passed on to the two Western governments. The primary objective of the Yugoslav government was to prevent the emergence of a monolithic, numerous and politically homogeneous Serbian émigré community in the Western world. The Communists immediately grasped that such a community would be a permanent thorn in their side, a source of potential trouble at a time when the Cold War between the East and the West was already becoming a reality. Although each individual was given the rosy picture of his prospects if he were to return to Yugoslavia, it was all in vain: only a few dozen people from more than 12,000 incarcerated Serbs decided to go back. The refusal of these people to subject themselves to the tender mercies of their wartime enemies was understandable and unsurprising. What is surprising, even from the distance of almost six decades, is the expectation of certain British officials that anyone in his right mind would go back to the lion’s den that had devoured so many thousands of innocent people in the preceding years. In the end there had been no mass return of Serbian refugees in the summer of 1947. A number of influential figures in London did try to make the extradition of anti-Communist veterans a reality, even though the tragic destiny of those who had been handed back in May of 1945 was well known by that time. The key factor that prevented the mess extradition was the opposition of the United States government. A Foreign Office official by the name of Warner bewailed, in May 1947, the fact that grand-scale extradition would no longer be applicable because the Americans were opposed to it. His colleague John Coleville warned his bosses that if the Yugoslavs are extradited the British government should be prepared for great deal of displeasure from its friends across the ocean. In the end the return of refugees from Munster to Yugoslavia proved to be strictly voluntary, and insignificant in numbers. It should be stressed that for most Chetniks and other enemies of the Tito regime it was unthinkable to return to Yugoslavia, regardless of the legal sanction to which they might or might not be subjected. Even without the ordeal of a show trial followed by an execution or a long prison sentence, the very thought of living under the government of war criminals and enemies of the Serbian people – and having to act as that regime’s loyal subject – was totally alien to most young Serbs who had risked their lives in the attempt to prevent those same Communists from grabbing power. This was not only a matter of manly honour and self-respect; it was also a debt to their dead fellow-combatants, comrades and friends, whose ultimate sacrifice was made at the time when the destiny of Europe was being decided. With the opening the camp gates one problem was being resolved, but another problem was only beginning. Thousands of young Chetniks, of whom many had not yet reached the age of thirty, were faced with a new dilemma: they were to decide what to do with their lives, with their energy, with their hopes. With the end of classification in the summer of 1947 the military authorities of the United States and Great Britain decided to disband the camps in Germany, and started looking for the way to resettle the so-called displaced persons residing in those camps. In August of that year most Serbs were released. At first some of them were given work as auxiliary personnel, guards and maintenance workers in various British military facilities throughout northern Germany. They were fed and clothed, but their status was temporary and it offered no long-term prospects for normal life. For that reason many of them received with considerable interest the news that the government of Great Britain was looking for young, strong men to come to the United Kingdom as labourers. The Krajina Serbs are known as hard-working people not used to any form of subsidy or charity. They like to make their own way in life, and to pay for it. For decades they had been forced to leave their economically depressed region and settle either in the more prosperous parts of Yugoslavia or else to seek their luck overseas. Their muscles and their perseverance guaranteed that within a fairly short time most émigrés would be able to stand on their feet, whether their destination was Chicago or Belgrade. Djujić’s men were no exception. After more than five years of a bloody civil war, followed by the unsettled life in the camps of Italy and Germany, Chetnik warriors could hardly wait to put their lives on a regular footing yet again – and to start earning their own daily bread. In the immediate post-war years Great Britain suffered from labour shortage. Not enough able-bodied men could be found for the construction industry, for agriculture and mining. Proposals were made, and accepted, that a number of displaced persons and other refugees from Eastern Europe should be brought to the British Isles to work in British factories, mines, and farms. In mid-1946 the British government introduced the Voluntary European Worker Program, which remained in force until 1950. A total of 80,000 persons, almost all of them from the countries under Communist rule, were brought to Britain as labourers during those four years. In the first phase of the program, in late 1946, several thousand women from the Baltic countries were brought to work as auxiliary personnel in hospitals, nursing homes and similar institutions. From the outset the intention of the British authorities was not to offer a temporary solution to the displaced persons pending the change of political circumstances in their home countries, but to turn these ‘voluntary workers’ into permanent immigrants. Britain’s labour shortage was partly due to the social changes caused by the war. Millions of young men were exposed to contacts with their peers, particularly Americans, whose standard of living and professional prospects were noticeably better than those in the socially calcified and technologically increasingly backward Great Britain. The sense of dissatisfaction manifested itself in the defeat of the Conservative Party at the 1945 general election and in the decision of hundreds of thousands of young Britons to emigrate to the Empire’s overseas dominions. “I am a refugee from England” was a bitter joke of many an émigré. Many of those who stayed behind were determined to better themselves by acquiring academic and professional fortifications that would enable them to break away from the polluted, depressing industrial townships and mining villages of the Midlands, Yorkshire and South Wales. The Ministry of Labour allocated East European workers to the physically demanding, often dangerous jobs in the mining industry, construction and farming that were hard to fill with native-born workers. Commissions were dispatched to the camps for displaced persons throughout northern Germany with instructions to recruit only young, strong men and women in excellent health who have many years of working life ahead of them. In order to attract candidates, Poles, Serbs, Ukrainians, Lithuanians and others, recruiting commissions presented an unrealistically prettified picture of life in Great Britain. They were shown propaganda films in colour, showing sunny mornings in the grounds of stately homes, sporting events, lavish family picnics and solidly built suburban homes. They were told that they would be obliged to work only for one year in whatever job was allocated to them – and that thereafter they could change employment and place of residence as they wished. Contrary to the picture painted by these recruitment commissions, Great Britain was going through a very difficult period in the immediate post-war years. It was impoverished by the war and some of its cities suffered very serious damage during the Blitz of 1940-41. Its industry was technologically outdated, and yet the liquidity for fresh investment was lacking. The once-mighty Imperial power did win the war, but it was beginning to lose the peace. The first sizable contingent of East European workers was recruited among the veterans of the Polish army of Gen. Anders, the survivors of many bloody battles in Italy and the Western front. They were soon disillusioned with their lot. By the time the Serbs met them in late 1947, time after time the Poles would repeat to them the story of poor wages, bad food, cold and often unfriendly natives, miserable climate and substandard housing. Unlike the United States and British overseas dominions, the British society was not used to hosting large numbers of immigrants at that time. Some measure of hostility towards the heavily accented people who were perceived as culprits for the low wages was especially noticeable among the working classes. Many voluntary workers remember those years with a measure of anger and sadness. They say that they were simultaneously expected to assimilate into the British society, to accept its norms, to respect its conventions, to work hard, and yet to be reconciled to the understated but clearly understood fact that they will always be only foreigners. The prospective workers in German camps were not told exactly what kind of employment the commissions had in store for them, only that those who are strong and in excellent health can apply. This insistence on physical fitness prompted some Serbs to hope that the commissions were not really interested in prospective workers at all. The Cold War was beginning, the Iron Curtain had descended on Europe, and some of these men were hoping that the Western powers intended to recruit potential soldiers from the lands ruled by Communists in case there is a new war. Such hopes, although utterly unfounded, acted as a powerful inducement for some of the Serbs, in addition to the normal desire of young men to pick up their lives and start turning their upkeep. By the end of 1947 about 5000 Chetnik veterans were ready to travel to Britain. In addition, several thousand Serb civilians and veterans belonging to other military formations – including the Volunteer Corps, the former POWs who did not want to return to Yugoslavia, and the Serbian State Guards – also opted for the volunteer worker program. Before boarding the ships, the prospective workers were given one final check-up. After that each individual was given a board with a number, had a picture taken, as well as a full set of fingerprints. They were sent from Dutch ports to London, Tilbury, and Harwich, and from there to a number of transit camps where they were processed and allocated to their permanent places of employment. Channel crossing was the first sea voyage for many of them. Some will always remember it as a particularly unpleasant episode marked by seasickness, the roll of huge waves, and the frightening roar of the wintry wind. Before disembarking each of them was given one pound; for many it was the only money they would receive for weeks to come. From the ports of arrival they were taken by train to temporary transit camps. A total of approximately ten thousand Serbs, 9000 men and 1000 women, eventually found themselves in Great Britain. Many Chetnik veterans remember that from the very beginning the conditions they encountered ranged from merely unsatisfactory to truly appalling. The arrangements concerning work and accommodation appeared to be hastily organized. The group that arrived on November 28 to Harwich – to take but one example – was sent to the deserted and unheated American Air Force Base at Bottisham near Cambridge. The following morning the Serbs had to make their way through driving rain to the dining hall, almost a mile away. The diet was not far from starvation levels: two slices of bread and a cup of tea or watery coffee in the morning, a bowl of thin soup and another slice of bread at noon, and a slice of toast with canned beans in the evening. Faced with such resistance the labour commission resorted to blatant trickery. Each individual was examined separately from the rest, entering the interview room through one door and exiting through another. All those who had completed their interviews were kept confined and not allowed to go out and talk to the men who were yet to be examined, which prevented contact between members of the two groups. This enabled the officials to claim, falsely, that various individuals who had already completed the interviews had accepted to go to the mines – and that others ought to follow suit if they wanted to stay together as a group. It was only thanks to this subterfuge that the required quota of nominal volunteers for the mines was eventually fulfilled. Only then did the commission turn its attention to other vacancies, such as the jobs in cement works, brick making and agriculture. Those who were sent to the farms had a very difficult life ahead of them. Many were accommodated in abandoned military facilities. They were typically structures meant to be temporary, hastily made, with uninsulated walls, corrugated iron roofs, and hardly any heating. The arrivals were given a couple of thin blankets and no bed linen. The ever-present wind blowing through the many cracks in the ceiling, around windows and doors dispelled the illusion of warmth coming from a small stove in the middle of the barracks. And yet these people had to work hard, day after day, often digging canals with their feet in ice-cold water for hours on end. The food is remembered by everyone as uniformly awful, not much better than in the first transit camps on British soil. The only meat product these young and healthy men were given were low-grade sausages that they found almost inedible and hardly more digestible. Since the Serbs were now engaged in heavy physical labour they suffered from hunger much more painfully than before, however, and the subject of food figured prominently in many conversations. They were not able to purchase additional nutrients because the management retained their ration coupons, without which nobody could buy food in England until 1951. Even without the hurdle of rationing, the wages were so low that the Serbs could hardly set any money aside for the improvement of their diet. Even the miners, who were supposedly much better paid than the rest, received only a pound a day. Farm workers received four pounds for a 48-hour week, but from that amount the management retained one and a half pounds for board and lodging. From the remaining 2½ pounds they could buy, for example, a pair of very ordinary shoes. In order to purchase a suit they needed to save six weeks’ wage, provided they did not spend any money on anything else. For many Chetniks Army and Navy surplus stores provided the only alternative, for their own needs and those of their relatives back home. They were able to send parcels to their relatives, up to 10 kilograms in weight, but they were forbidden to send coffee, chocolate or foodstuffs; and in any event without ration crowds they could not purchase such items. Generally speaking, maintaining contact with friends and family was a major and painful problem for all exiled Serbs, regardless of where they came from and under whose banner they fought. Most letters travelled either way a very long time and were routinely opened by Communist censors. Sending money from Great Britain to Yugoslavia directly was not possible, and using indirect channels was risky and complicated. This entailed finding third parties in the city of Trieste or the so-called zone B of coastal Slovenia who were willing to send a money order to an unknown recipient hundreds of miles away. Those recipients would receive their money in Yugoslav dinars at an artificially low exchange rate. On top of everything some of them were interrogated by the police and asked about the person sending the money: who was he, what was he doing, was he active in émigré circles, etc. Communist officials were merciless with the members of Chetnik families. Its “scientific” Marxist approach to social issues notwithstanding, vis-à-vis its youngest subjects the regime adopted the principle of fathers’ sins being visited upon their offspring. Those children whose fathers were labelled as “traitors” and “enemies of the people” (meaning Tito’s regime) had a very hard start in life. At an early stage they were faced with the dilemma of denouncing their fathers and thus earning political brownie points with the commissars, or else quietly enduring insults, name-calling and all manner of injustice that included lower grades for the same performance as that of their peers – and very little chance of ever attending university. This predicament was particularly painful for those who had only a distant memory of their fathers or no memory at all, as they were too young when the war was ending. Most of them remained loyal to their families and their blood, and paid the price. They were the least culpable and longest suffering victims of the war. By the end of the 1940s the Chetniks in England were almost uniformly dissatisfied with their lot. In their bitterness against the host country’s authorities, mostly justified, they differed from their kinsmen in every other major country settled by Serb émigrés after 1945. In the United States, Canada, and Australia, they were free to pursue their lives to the best of their abilities and their prospects were on the whole better. Not all fared equally badly, however. A group of Lika natives and Dalmatians that was sent to the environs of Leicester, in the Midlands, managed to lead a modest but decent and self-respecting life. (Little did they know that in the years and decades to come Leicester would develop into the major centre of the Serb Diaspora in the United Kingdom.) This group’s living conditions, while far from lavish, were tolerable. They were accommodated in well-insulated barracks at Bruntingthorpe airport, alongside a large contingent of Poles belonging to Gen. Anders’ army. The two groups soon established good rapport. With the Polish contingent there was an Orthodox priest – something of a rarity among these overwhelmingly Roman Catholic people – so that for seven months of their stay in the area the Serbs were granted the unexpected gift of regular liturgy. One barrack was even allocated to them as a chapel, in which on July 18, 1948, a memorial service was held for General Mihailovic. A large number of Polish officers and other ranks, in their freshly ironed and brushed uniforms, attended this melancholy gathering. Two refugee peoples – both reckless in their self-sacrifice – understood each other with difficulty in daily communication, but at a deeper level they nevertheless spoke the same language. Most old Chetniks remember their Polish peers with affection and sympathy. Their mutual closeness was enhanced by the shared experience of German aggression, Communist duplicity, and Western indifference and appeasement at Yalta. What the Serbs felt as ingratitude for the saving of hundreds of Allied airmen was matched by the Poles’ grief over senseless sacrifice of Monte Casino and other battlefields. By contrast the relations of these two groups with the Ukrainians – mostly Uniates from the western province of Galicia – were neither close nor cordial. They felt uneasy about the Ukrainians’ open and sometimes enthusiastic collaboration with the Germans. However understandable from the vantage points of those Western Ukrainians who looked upon Stalin as their main and mortal enemy, it was hardly acceptable to the people who looked upon Hitler as the root cause of all their misfortunes. Most emerging Serb communities in Britain did not have access to Orthodox clergy. Those in the Home Counties – notably that in Raleigh, Essex – were regularly visited by two priests from London, Emilijan Popović and Djordje Uvalić. They also started organizing cultural activities and in 1949 a folk music and dance ensemble was founded, the first of many such groups to come into being over the years. A former teacher and Royal Yugoslav Army reserve officer Djordje Avramović, one of thousands of Serb POWs in Germany who had refused to return to the country ruled by Tito, headed the folk group. Since it was short of girls, the daughters of two émigré Serb politicians, Milan Gavrilović and Milan Tupanjanin, occasionally came from London for rehearsals and performances. In late December 1948 the group from Bruntingthorpe was transferred to the vicinity of Market Harborough, a pleasant small town in Leicestershire. Yet again they were fortunate to encounter some good people and fairly decent conditions. The head of the new camp was sympathetic to the Serbs, whose fighting qualities he had come to respect while serving at the Salonica Front as an airman in 1917-1918. The labour was hard, the wages meagre, but the Serbs felt respected and free to practice their traditions. For many of these people the difference between tolerable life and miserable existence lay in the attitude of a minor official on the ground. Not too many of them were able, or willing, to see in these “DPs” a group of fellow humans hard on luck and worthy of respect and sympathy. Although the initial contract under which the Serbs came to England postulated that after one year they would be free to change employment and move around freely, the British authorities did not respect it. When the first year passed, at the end of 1948, most Serbs were told without ado that they would have to stay where they are, until further notice. Suddenly, without cause or warning, they were turned into de facto indentured servants, rather than free men who could earn their living on their own terms. For some the news was more than they could bear, and several committed suicide. A few tried to return to Germany and seek relocation to another country from there, but the practical difficulty of saving enough money for the trip and obtaining travel documents frustrated that intent. For the rest there remained some vague hope that better days would eventually come. They held on to each other, finding comfort and solace in companionship, in the observance of traditional Serb feasts and holidays. From what little money they earned they saved as much as they could to help their families back home. For most Serbs in England the light at the end of the tunnel shone in late 1950, when they were finally given the freedom to choose their place of employment and residence. They were handicapped in exercising this right, however, by the lack of qualifications and language skills. In three years of hard toil with little reward they were effectively barred from either integrating into the community or obtaining education necessary to start a more promising career. In the event most former Chetniks had to accept employment that was available to them, that is, manual labour in factories. On the other hand their wages were higher, and they did not feel like second-class citizens any longer, now that they could freely move around. A year later, in 1951, the Conservatives won the general election, rationing was abolished, and the economy started improving. An important obstacle for many was the problem of language. Most Serbs had very little contact with ordinary English people in their first three years, except at work where communication was rudimentary and strictly job related. Even later, when most of them learnt enough English to make themselves reasonably well understood, there was relatively little social interaction with the native population. Most socializing was with other fellow exiles, in whose company they could feel socially accepted and confident of their standing within the community. Many younger people found employment in construction industry, which was booming in the early 1950s. The work was hard but the wages it offered were relatively high. Others worked in textile factories, especially in Yorkshire, while Leicester offered employment in shoemaking and light industry. In southern England, where industrial employment opportunities were more limited, people released from farm labour tended to gravitate north, to the Midlands, where their friends and relatives had already established themselves and could offer the initial support network. From the distance of over half a century many old Chetniks express regret that they had not pursued educational opportunities and vocational training with greater vigour in those days. Not many were prepared to deplete their already scant earnings by paying tuition, to lose wages by taking days off for exams, and to attend evening classes after a long day at the factory or construction site. It is worth noting that the émigré intellectual elite in London did not provide an impetus or worthwhile advice regarding acquisition of skills and education. Some of these “Londoners” even then continued to entertain dreams of returning to the old country liberated of Communists, and discouraged their fellow Serbs from acting on the assumption that exile was an immutable fact of life for many years to come. The Chetniks who made the effort to study and learn more – a minority – were amply rewarded in their careers. The majority transferred their hopes and aspirations from their own lives to those of their children. The second generation of Serbs in England, born in the late 1950s and 1960s, was effectively the first generation of “British Serbs” who had a dual identity and the ability to function with equal ease in both communities. They proved to be hard working and talented. Many have acquired academic qualifications and pursued professional careers of which their parents could only dream. Both generations cultivated the principle of self-reliance, hard work, and civic-mindedness: being dependent on state handouts of any kind is loathsome to them all. At a time when many other immigrant and asylum-seeking groups contribute disproportionately to the explosion of crime in Britain, the Serbs old and young have a commendable reputation as model citizens, hard workers, and responsible members of their communities. The return to a form of normal life was a shock for many of these people. For a decade they lived together more or less continuously: as combatants in the Dinara Division until 1945, in Italian and German camps until late 1947, and as “volunteer workers” in factories, farms and mines for three years thereafter. They were suddenly expected to shift from collective to individual life, and to consider starting families. For most Serbs the thought of “family” inevitably invoked images of the Fatherland, and the memory of a girl encountered many years earlier at a gathering (posijelo) or church fair. Since the Yugoslav authorities did not allow its citizens to leave the country, however, many young Serbs married English girls, or – in a disproportionate number of cases – other foreign girls who had found themselves in Britain: from Germany, Italy, Spain, or Eastern Europe. Only a small number of married Chetniks retreated from the Tromedja region with their wives and children. Many more that had left their families behind were pained by separation and even more by the uncertainty of how long it would last. Nobody could know when, if at all, their beloved ones would be given passports and allowed to join them. The first ray of hope came in late 1953, following Tito’s visit to London six months earlier. The dictator wanted to create the best possible impression with his hosts, and made a token gesture in response to the British plea that families should be reunited. This early permit to travel applied only to a few dozen persons, and it was not until the late 1950s that family members started arriving in significant numbers. Like other East European émigrés, the Serbs were surprised by the scant idea most ordinary Englishmen had of the Old Continent’s geography – not to mention the ethnic structure or political conditions in those lands. It was not easy to explain the difference between Yugoslavia and Czechoslovakia (occasionally blended into “Yugoslovakia”), let alone to dwell on the difference between Chetniks and Partisans, Serbs and Croats, Slovaks and Slovenes. There was another problem: With some better educated members of the British public Tito’s name resonated with positive overtones, thanks to many years of Communist manipulation supported by the media and by an influential segment of the political establishment. Such people, often occupying positions of influence and authority, looked upon the Chetniks with suspicion at best and open distaste at worst. They rejected any attempts to explain the reality of the Yugoslav civil war started by Tito’s Communists, especially when simple people, whose powers of persuasion were severely limited, made such attempts. The complexity of the Yugoslav wartime drama eluded them no less than the complexity of the wars of Yugoslav succession would elude their heirs 40-50 years later. Discrete supervision was also evidenced in the fact that until the mid-1950s all Serbs had to report to the police any change of their address or employment. Many more years had to elapse before the first Chetniks reluctantly applied for British citizenship. Others preferred to travel with their refugee papers until the end of their lives, as taking a foreign passport to them represented a symbolic admission of defeat and finality of their exile. It is noteworthy that no such reluctance was present among Djujić’s Chetniks in Canada and the United States: as a rule they have found it emotionally less challenging to accept citizenship of those countries because they were feeling better integrated and accepted, less “foreign” than the Serbs in Britain. Social, political and spiritual organizing of the newly arrived Serbs in England was a slow and arduous process although at that time London was a major centre of Serb émigré activity. Mutual mistrust, disputes, and animosities that characterized various governments-in-exile during World War II continued after the war. Marginalized life and frustrating powerlessness only aggravated relations among people who should have been their community’s leaders and role models. King Peter II, then still only in his late twenties, did not provide much needed leadership, and later on some of his acts became part of the problem rather than its solution. His brief visits to a few Serb camps in the summer of 1948 were purely formal affairs. Thousands of Chetniks still regarded themselves as his faithful soldiers, however, and felt disappointment at the King’s failure to provide the sense of leadership and encouragement that they craved. In mid-1948 a leading émigré politician, Bogoljub Jeftić, started touring Serb communities in order to promote a mutual help society that he had founded. He was not successful. The Chetniks immediately disliked the fact that Jeftić’s group had a “Yugoslav” adjective in its name. They were clear that the Yugoslav idea was decisively and irreversibly defeated in the pits where Ustasha bands threw Serb women and children in 1941-45. In addition they did not take kindly Jeftić’s veiled threats that those who do not contribute to his group would not be allowed to return to the old country once it is liberated from Communism. The gap between the “Yugoslavs” and the proponents of a clearly “Serb” solution to the Serbian national and state problem emerged even more sharply in late 1948, when the Association of Veterans of the Yugoslav Army in the Fatherland was established in London. 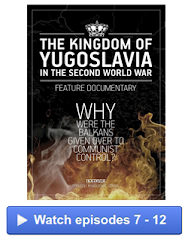 The very name of that organization repelled most western Serbs, who looked upon the Yugoslav experiment as one major source of their nation’s misfortunes. For similar reasons Dr. Miloš Sekulić was also unsuccessful in his attempts to organize an émigré organization. After their many failures and defeats during the war, both vis-à-vis the British authorities and each other, the politicians of old did not enjoy confidence of the rank-and-file. One exception was Dr. Božidar Purić, one-time Prime Minister of the Yugoslav government-in exile, who impressed the Chetniks as a “good Serb” and warm-hearted compatriot who did not offer much and asked for nothing. He was a well-received guest of honour at many special events in those early years. In addition to the disagreement over the desirability and viability of the Yugoslav state, the main bone of contention between the Dinara Chetniks in the provinces and the London émigré “elite” concerned the medium-to-long-term political forecast. Scantily educated peasants from the Tromedja proved to be more politically astute: they realized that the Communists grabbed power by force and that only force could remove them from power. They also realized that Tito’s dictatorship would last for a long time and that even his dispute with Stalin in 1948 – which delighted the British – did not mean that there would be significant political changes within the country. By contrast, many prominent “Londoners” cherished illusions of an imminent return, following Tito’s fall that would be either prompted from the West or caused by internal developments. History proved them wrong. The prospect of a long stay in exile presented the Chetniks with the need for the creation of an organisation. That need was not acute for as long as they stayed together as a compact group, but with the dispersal many of them felt they should belong to an organised network that would reflect their views and aspirations, keep them all connected and give their lives a focal point. They also realized that institutional forms of anti-Communist struggle were needed, after a failed attempt to infiltrate Yugoslavia and start armed struggle by Dušan Ilić and David Damjanović. Disappointed by the “Londoners” who they perceived either as self-serving demagogues or as incorrigible “Yugoslavs,” the Chetniks concluded that their future organisation should be truly theirs, in spirit, in leadership, and in its stated objectives. Initial links were established by the end of 1948, with letters being regularly exchanged between the dispersed groups of Chetniks in England and their compatriots left behind in Germany. As the latter group also moved on, to Australia, Canada and the United States, the geographic spread of addressees grew too. In the early 1950s a rudimentary informal network was already in place. It was enhanced by the arrival of significant groups of Chetniks to America, thanks in large measure to the efforts of the Serbian National Defence (SND), based in Chicago. Its notarised and sealed affidavits provided the legal basis for thousands of Serb DPs in Germany and elsewhere to obtain much sought after American visas. The dispersed Dinara veterans were in touch with each other again, but they nevertheless lacked a reliable source of timely information about political developments in the old country. Information from Yugoslavia at that time was scant, irregular, and unreliable. All letters were subject to censorship and legal travel was impossible. Rumours abounded, especially in the early years, and wishful thinking often substituted cold-blooded, rational analysis. Tito’s split with Stalin in 1948, to take one notable example, created among some émigrés two contradictory expectations: that of the regime’s overthrow by the Red Army – hardly an improvement from the vantage point of exiled Serb patriots – and that of its increasing compliance with Western policy designs. Tito’s cunning and ability to avoid either outcome in pursuit of his absolute personal rule was not sufficiently appreciated. The first newspaper to reach the emerging Serb Diaspora in England, starting in 1948, was the cyclostyled Serbian News published by Dobroslav Jevdjević in Rome. In addition to providing a roundup of current affairs, especially as they related to the Balkans, this paper also provided a welcome forum for the re-establishment of links among long-lost Chetnik friends and relatives. It was additionally a vehicle for Jevdjević’s political statements, focusing on the need for Serb unity and stressing the structural weaknesses of the Communist system in general, weaknesses that sooner or later could and should be exploited. The Pittsburgh-based Srbobran, as well as Liberty, published by the SND in Chicago, also made their way to England. When Momčilo Djujić moved from France to the United States in 1949 he started establishing contact with various organisations and prominent individuals in the Serb community on both sides of the ocean, producing and distributing occasional bulletins. 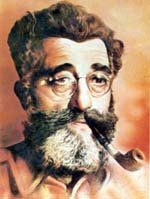 In late 1949, in the city of Milwaukee, Djujić founded the Serbian Chetnik Organization and was elected its president. Its two branches were in Milwaukee and in Gary, Indiana, where the Djujić family initially settled. This organization was soon renamed the Movement of Serbian Chetniks of Ravna Gora (Pokret srpskih Cetnika Ravne Gore). Instead of occasional circulars, bulletins and newsletters, a regular newspaper, Serbia, was started, and until this day it remains an invaluable means of contact between communities and individuals in three continents, thousands of miles apart. The Statute of the Movement states as its main political objective the realization of the long-standing striving of the Serbian people: “unification of all Serb lands into one indivisible political and state entity, founded upon the tenets of Christian law and morality and on the true principles of liberty and democracy”. According to Djujić himself, the Movement “is not a political party, it is not a clique, nor is it a group serving individual interests. We are the living fighting force of the Serbian people, ready for sacrifice for the cause of Serb liberty and the unity of all Serb lands”. This was his answer to the accusation that the Movement had no program and no ideology. The Statute defines the purpose of the Movement in unambiguous terms: “organized linkage and strengthening of spiritual, ideological, and combative community of Serb Chetnik fighters and of all combat-ready Serb patriots, dispersed all over the Free World, with the common goal of liberty and unification of Serbdom”. Although the Movement’s early membership came almost exclusively from among the veterans of the Dinara Chetnik Division, its ranks were open to all Serbs who could identify with its stated objectives. Those goals were not exclusive to any one group or segment. The issues of regionalism, of wartime service, or any generational or educational achievement, were not meant to limit the Movement’s membership – and they never did. It is unfortunate that the complete unity of purpose and action of the Serb Diaspora has never been achieved, that schisms and personal disputes have prevented it from becoming a truly effective force; but it is also a matter of historical record that, among the many organizations old and new, the Movement has remained for over fifty years the most steadfast, solid, numerous, and financially solvent of them all. On Easter Day, April 5 1953, some fifty prominent and well-respected Dinara Division veterans from all over England and Wales held a meeting in London and decided to establish the Chetnik Alliance of Great Britain, soon thereafter to be renamed the Movement of Serbian Chetniks of Ravna Gora in Great Britain. A temporary Executive was elected and entrusted with the task of preparing the new organisation’s first congress. Simultaneously, all over England and Wales local branches came into being – a total of 59 of them by the end of August, when the selection of delegates for the first congress had to be completed. That eagerly anticipated event was scheduled for September 12 and 13 in Leicester. All those Chetnik veterans who attended that first congress say that it was an event they would remember as long as they live. Over a thousand delegates came to Leicester on that mercifully sunny weekend. They enthusiastically greeted two wartime Vojvodas, Djujić and Jevdjević, who delivered keynote speeches. Still fairly young, brimming with energy and élan, their listeners longed to be, once again, part of a strong, unified, and well-led organisation. They knew that, unlike a decade earlier, they would not be likely to fight for their ideals with a gun in their hand, however much they wished it: the time for a different kind of action had come. The new Movement would rely on the spoken and written word, on political and cultural work, on good deeds and charity, and on nurturing the traditions of epic poetry and folklore, as a means of achieving its objectives. Ever since that memorable event on a sunny Indian Summer weekend, the Ravna Gora Movement – together with the Serbian Orthodox Church – has been the foundation of social life and personal identification for thousands of Chetnik veterans all over Britain. They could be factory workers, miners, farm hands or bricklayers in everyday life, but from that moment on they had a deeper purpose and an added sense of dignity. 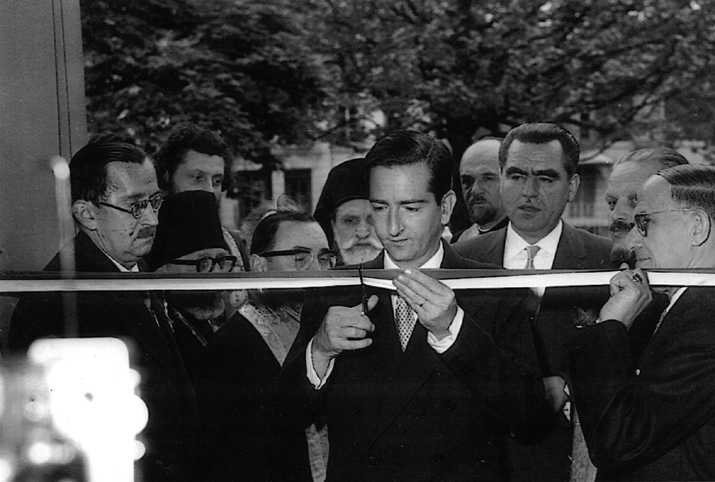 The first Chetnik congress injected life into the Serb community in the UK. The structure of the Movement in Great Britain closely followed the model developed by Djujić’s organisation in the United States in 1949-52. The annual congress is the highest decision-making body, and its resolution provides the guidelines for the ensuing period. At the congress the Movement’s top elected officers, local branches and sections present detailed reports on their activities. Congresses are traditionally held at the Tromedja Hall in Leicester, on the first weekend in September. On Saturday, following the working session, the day usually ends on a festive note, with live entertainment, music and dancing. On Sunday the Liturgy is followed by a memorial service to the departed members. Congress participants and guests attend a banquet and then go to a nearby hall to attend the central celebration. The program of events typically includes brief introductory speeches by the Movement’s elected officers. Invited guests also say a few words of greeting, and messages from overseas branches of the Movement and other Serb organisations are also read. After the keynote speech by one of the prominent members of the Serb community, the Movement’s folklore groups perform songs and dances from the old country. There’s often a guslar, traditional Serbian bard who recites old epics to the accompaniment of a single-string fiddle, and young people read poetry. In the aftermath of this central event of the year the Main Board has the task of carrying out decisions made at the congress. It directs and coordinates the work of local branches, of Serbian Sisters’ Circles, as well as youth, sports, entertainment and other sections. The Sisters’ role was essential in providing the hospitality, warmth, and hard work without which no slava and no banquet can be imagined. From its early years the Movement has devoted particular attention to the care of its disabled, old, and sick members in need of assistance. Its Humanitarian Section initially assisted those Chetniks left behind in Germany and Austria who were unable to obtain visas for one of the overseas countries because of their age or health problems. It later offered help to the Movement’s members in Britain who experienced hardship, and especially to those seniors who have no heirs or family to take care of their needs. The role of the Movement in the maintenance of the Serb cultural tradition has always been very important. This key task is the responsibility of the Entertainment Section. It oversees the establishment, equipment, training, and artistic quality of folklore groups. It is remarkable that the Communist regime in Yugoslavia tried to prevent even this a-political activity: it did not allow Serbs resident abroad to take traditional folk costumes with them when leaving the country. In 1968 Mrs. Vera Torbica, for many years the moving force of the Movement’s folklore groups, was warned that she risked imprisonment if any costumes were found in her luggage when leaving Yugoslavia. In a totalitarian system – and Tito’s regime was one – all unapproved émigré activities were equally suspect, even those that had the sole purpose of maintaining the sense of identity and cultural rootedness among the younger generation. In its early years the Movement in Britain did not have its own premises. Large gatherings were taking place in rented halls and regular meetings were held in private homes, but the growth of the organisation and the activities of its various sections dictated the need for a permanent home. In 1956, following Momčilo Djujić’s strong encouragement and a generous financial contribution from the late Mirko Kričkić, the Movement decided to purchase an impressive four-storey building in one of London’s most attractive areas, Holland Park Avenue. The location had many advantages, including the vicinity of the Serb Orthodox Church and its Bishop Nikolaj Hall, and easy access by public transport. The building was renovated and 45 years ago it was given its present name, General Draža Mihailović Memorial Hall. It was originally intended to use the building as a cultural centre, library and the Movement’s headquarters, but in subsequent years that role was taken over by the Tromedja Hall in Leicester. The London location is now best known as a popular bed-and-breakfast hotel named Ravna Gora. For many years it has been the home away from home for thousands of visitors to London, including many Serbs from all over the world. It was an excellent investment and a key pillar of the financial stability of the Movement in Britain. Six years after this initial investment the Movement bought a building on Saxby Street in central Leicester, not far from the railway station. Together with two adjoining houses purchased subsequently the complex is known as the Tromedja Hall. For four decades it has been the main centre of all Chetnik activities in Britain. Following extensive renovation completed in 1982 it also houses a bed-and-breakfast hotel. In addition to regular public meetings and banquets, this is the location where folklore groups practice, families gather to celebrate and mourn, where young people meet to chat, flirt and dance, and old veterans discuss politics over a drink. The third significant investment was made in 1988, when the Movement purchased the building that has been renamed Dinara Hall. After a period of financial and managerial uncertainty in its early years it has proved to be a viable investment as well as a valuable centre for the community in the West Midlands. Both in their native land and in exile the Church has been the pillar of spiritual life and identity for all Chetniks. Its significance is recognised in the Statute of the Movement, which insists on the importance of Christian faith and morality in the life of a healthy polity, family, and each individual. This commitment has found its tangible expression in the contribution the Movement and its individual members have made to the purchase or construction of several Serbian Orthodox churches all over England. Such efforts date back to 1952 and the reconstruction of St. Sava’s Church in London. A neo-Gothic formerly Anglican church in Leicester was thoroughly renovated mainly through Chetnik contributions and hard work. The Movement also made a major contribution to the building of St. Lazar’s Church in Birmingham, a true masterpiece of Serbian-Byzantine style architecture. The unfortunate split that occurred in the Serbian Orthodox Church in 1963 soon spread from the United States to all other communities in the Diaspora, including Britain. It caused deep divisions that left a lasting scar on the community as a whole. The split was wholeheartedly supported and surreptitiously encouraged by the regime in Belgrade, and it was fanned by the divisive work its agents infiltrated into émigré ranks. They were not numerous but in the 1960s they managed to introduce an atmosphere of suspicion that additionally poisoned relations within the Serb Diaspora. The Movement was inevitably affected by the Church split, but under the firm leadership of its President for Life it managed to preserve overall unity. Only in the last decade of the 20th century, as the Serb nation was about to face new challenges and the Yugoslav state was nearing its ultimate disintegration, was the split resolved in the spirit of Christian love, brotherly accord and togetherness. The scars of those years still remain, but one lesson of those three unfortunate decades is that what true Serbs have in common is infinitely more important and valuable than whatever divides them. For the Movement, in Britain and elsewhere, mutual trust of its leaders and members always provided the best defence against internal divisions and sectarian splits. The survivors of four years of epic struggle knew that they could rely on each other. As the ranks of those veterans grow thinner each year, the Movement faces the challenge of generational change and renewal. Attracting new, younger members, and inspiring them to make a contribution to the cause, probably remains the most important challenge the Movement faces in Great Britain and everywhere else. The wars of Yugoslav succession were the seminal event in the life of the Serb Diaspora. The decade of relentless demonisation of their nation tested the nerves, loyalties, and identity of each and every member of the community. During the period of Yugoslavia’s disintegration and war in the 1990s the Movement attempted to help its brethren as much as possible. It could not make much of an impact on the media campaign against the Serbs, however, or on official British policy that had grown increasingly one-sided and biased. A mere 20,000 Serbs in Britain did not have the numbers and the financial clout necessary to make much difference in what was a multi-layered media war and political lobbying campaign involving the Muslim world, various trans-Atlantic geopolitical interests, and the future of NATO. The entire Serb community was deeply pained by the tragedy of the Krajina in the summer of 1995. The Movement’s members were especially hard hit, as the exodus directly affected their relatives and friends, their native towns and villages. In his old age Momčilo Djujić again rallied his followers, however, telling them that nothing is lost for as long as Serbs retain their name, identity, and faith. The twentieth century, which started with Serbia’s brief flourishing and its heroic wars of national liberation, ended with the most painful defeats the Serbs have experienced since Kosovo. 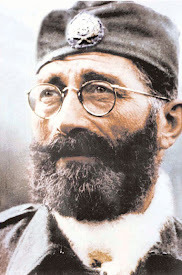 The legacy of that century, which largely coincides with Momčilo Djujić’s life, presents a challenge to the present and future generations of Serbs, in the old country and in the Diaspora: Can the Serbs preserve their dignity, their identity, and their faith, in spite of the formidable forces of the post-modern, post-nationalist, post-Christian, in fact post-civilized ruling elites of the Western world that call themselves “the international community”? Djujić’s conviction remained until his last day that they can, and his message to his heirs is clear: they should strive for the final unification of all Serb lands, under the crown of the House of Karadjordjević, in a society based on Orthodox Christian morality and spirituality. This is a noble and formidable task that may not be fulfilled for many years or decades. It is the legacy of Vojvoda Djujić, who had devoted his entire long life to its fulfillment.